I thought I had this great idea. 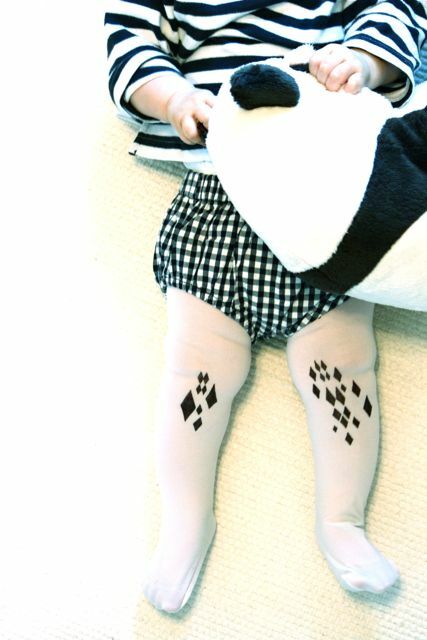 So I took out a sharpie (fine point) and started making little diamond shapes on Amélie's tights. Later that night I was coming up with a list of projects to do with my sister and low and behold, there were some DIY heart tights on some indie chick on my pinterest board. dang.